CODE GEASS: Boukoku no Akito – PV »« Thanks For Reading! 80 Million Visits and Counting! I still have 5 Heart Pieces to get and 25 or so Gratitude Crystals to collect, but I was trying to get through the game as quickly as possible so I can get back to blogging. I’m tempted to go through the second playthrough on Hero Mode though. I love challenges. The resounding impression I have of Skyward Sword is that it has excellent story, unique gameplay, and world/temple design. The adventure is very story-driven, reminding me of the epicness in Wind Waker, and the world map is reused in clever ways so that the entire game feels like a dungeon — not just the temples. There’s a lot of debate over an official series timeline but Skyward Sword clearly comes before Ocarina of Time, as it depicts the origins of both the Master Sword and “The Legend of Zelda”. Very very cool. I’ll probably update this post with more impressions in the upcoming days (and bump it), but for anyone who’s played/playing it, feel free to discuss. Please put spoilers in tags as usual. Also, I wasn’t using a walkthrough (I find they ruin the experience), but I did refer to one during the late stages of the game for the Gratitude Crystal side quests. Shouldn’t you be focusing on anime reviews? “Random Musings”, as the name suggests, are random musings. Also, this is a personal blog the last time I checked. Since we have Anime and Manga now, why not add Games and Light Novels to complete the set? Actually, we used to have a few light novel reviews pop up every once in a while, done by Patrik. So why no more LN entries…. Some new action is building up in To Aru Majutsu No Index novels. No more LN posts because Patrik doesn’t write for the site anymore. It’s a bit of a shame, since he reads novels in Japanese and covered a lot of untranslated stuff. I think games are fair game for review and I’m guessing it’s refreshing to review something other than manga and anime once and a while. And it’s not like first time Divine has reviewed/commented on a video game – I think there was a Final Fantasy XIII review. And if that isn’t enough of a precedent, Omni did one or two video game reviews/previews/commentaries. 86 thumbs down? That’s ridiculous. Whoever’s doing it, you’re not getting paid to click that button, you know. I’m pretty sure that’s just how many people dislike that comment. Or that there are tons of trolls in RC XD. All Hail Mighty Goc (sorry Enzo, I’m not ready to give up the joke yet). And you are a shining example of that, moondoggie. Maybe… Maybe not. Depends on the situation. November 23, 2011 at 4:58 pmUmadBro? what platform is this game for? Man I really wish i had a wii right now. Oh well…. November 23, 2011 at 5:04 pmUmadBro? With the Wii MotionPlus, the controls are pretty precise and responsive. To stress the degree of control you have over Link’s sword, there’s less emphasis on the number of encounters and more on the quality of encounters. i.e. You can’t just randomly swing your sword around and hope to kill enemies. I did have some qualms with very quick tilting motions, but this was only a problem in the high-speed mine cart mini-game. Interesting, I might look around for a wii this december. The only zelda game i ever tried was phantom hourglass. Never been much of a nintendo fan. This game might change that! Just started playing it… I don’t know, the sword swinging is a little off for me, which is weird since I don’t have any problem playing Wii Sports Resorts fencing. Spoil us, what is the origin of the legend of Zelda? So there was this elfin dude named Link and and he saved some princess with the help of his trusty Master Sword that was once the Skyward Sword that was another princess…. Alright, but be warned. This is a bit long and has all the huge franchise-redefining bits. This Zelda is presumably the very first “Zelda”, as she’s actually the Goddess of Hyrule, Hylia, who had given up her godly existence to be reincarnated as a mortal. She did this to act as a vessel to seal awat a great evil that waged war on Hyrule. Known as “Demise”, he sought the Triforce to subjugate the world and throw it into darkness out of hatred toward the Goddess. Hylia barely managed to seal him off and feared his resurrection, hence why she was willing to sacrifice her godly existence to try and seal him away forever. During Hylia’s battle with Demise, she hid the people of Hyrule and the Triforce in the skies so that they wouldn’t be found, which results in the creation of “Skyloft” where Link and Zelda live thousands of years later. The Triforce plays a small role in this story, but most of it revolves around transforming the Goddess Sword to the Master Sword. The Master Sword, along with its female consciousness “Fi”, was a fail-safe plan left by Hylia in case her seal were to break. It required a “chosen hero” with an “unbreakable spirit” who could gather the power of the Three Goddesses who created the world and the Triforce — Din, Naryu, and Farore — and empower the Goddess Sword into the Master Sword that can vanquish any evil. Zelda, upon relearning who she truly is, travels back in time to when Hylia (i.e. her former self) just defeated Demise and enters an eternal slumber to seal him. In the present, that seal has weakened, so the fail-safe plan is set into motion with Link, who sets out on his journey to create the Master Sword, vanquish Demise, and awaken Zelda from her slumber. Demise is the last boss of Skyward Sword and upon his defeat, he curses Link, Zelda (i.e. Hylia) and the rest of Hyrule saying that his hatred for the Goddess would be undying and that his terror would continue to repeat itself until he’s victorious, which alludes to Ganon as another cycle of his curse. This heavily implies that the events of Skyward Sword go down in Hyrule’s history as the “Legend of Zelda” that subsequent games take after. So whenever he’s reincarnated, Zelda and Link are there waiting for him? Too bad Ganon, Vaati. :? Another “hero in green” and a girl named “Zelda” will have to shoulder the burden of trying to save the world from a new evil — which is not necessarily Demise but a derivative of his hatred — thus repeating the “legend”. The new Link and Zelda may not necessarily be reincarnations or descendants either. Demise’s curse befalls on Hylia, her world of Hyrule, and its people. Demise is resurrected by Ghirahim, who serves as the main antagonist for most of the game. Like Fi, Ghirahim is actually the spiritual consciousness of Demise’s sword, which just so happens to look like an evil version of the Master Sword, complete with an upside-down Triforce on the blade. He successfully frees Demise in the past (resulting in the final boss battle), after Link manages to vanquish Demise in the present using the Triforce. Thanks divine…I am just a little dissapoint Ganon had nothing to do with it. Could you post some picks of the people you killed by mistake with the Wiimote in the meantime? I agree, this game is great in that you don’t just go from temple to temple where the overworld is just something you traverse to get from point A to point B. In Skyward Sword, just getting to the temple by itself is a challenge. The only big problem I had with SS was how often I had to recalibrate/center the WM+. When everything is working, the controls are fantastic, but when they get off, the game is practically unplayable since everything relies on motion controls. It didn’t happen that often, but just enough to get on my nerves. I haven’t 100%’d this game yet, but so far, it may be the best console Zelda yet. Also, Divine, if you have time you should play Minish Cap. Definitely one of my favorites. So I’ve heard. My brother bought it when it came out so I could ask him to borrow it. In the spirit of recommending, I’d also like to throw out the names of the “Of Ages”, “Of Seasons” games that came out on the GameBoy Color ages ago. The mechanic involved in either was quite a bit of fun, though at times also quite a bit of frustrating. The best part, however, is that once you complete the games you can combine them into one of the largest games possible. I second Vena’s recommendation :D Oracle of Ages and Seasons were both really great Zelda games and you can even wield the Big Goron’s sword again when you’ve completed both games! Oooooooh! This game is fantastic. This game and Skyrim are ruining my time. Is spirit tracks any good? I have it when I bought my DSi (seems like the vendor forgot that he had his Acekard inside), but I haven’t played it yet. Ocarina of Time has met its match. @Divine is there a particular reason why I can’t like or dislike posts with more than one dislike? Do you mean like/dislike comments? If so, are you behind a shared connection perhaps? It only allows one vote per IP address. Nice! Glad you’re enjoying the game Divine….I was wondering why there was no early Naruto post as usual…Now I know why! I’m dying to try this game for myself…I’ve heard all sorts of things: IGN says it’s the best Zelda game ever; GT says it’s proof that Zelda is finally starting to show its gray hairs, that it needs to move on. I enjoy these (rare) videogame posts…They are a real refresh from the usual anime and japanese news (ironically these games are made in Japan, but oh well, ha ha…). How about a live show sometime? Yeah, a live show; or better said, a live podcast-audio thingy. I dunno, it’s just that one of my favorite videogame podcasts (EpicBattleCry) just had their fiftieth episode…And to celebrate, they held a live show in which they actually received calls from their fans and answered their questions. And it was awesome. The sole experience in that moment of actually getting a chance to talk to the people you really like & follow, and sharing your thoughts even if briefly, is a very satisfying feeling. And in the other case, the sole experience of getting to talk to your fans (sometimes including many people from many places across the globe), and interacting with them live for the first time…Is a real beatiful sensation. Maybe you could arrange a time slot with another blogger(s) from the site and together make this show…There are countless internet sites that enable you to do this live-stuff. Maybe when a certain milestone is reached for the site, like X number of views or something, you could talk about a certain topic/show/news that you found interesting to discuss, and with another writer talk about these things…Maybe as a celebration, maybe as a cool thing to try. At least for me, that’s be something neato and refreshing. If it’s live, you could even make a calling section where we, the fans, could get a chance to call you guys (via phone or Skype, whatever) for a brief question or something. If it’s not live…Then I guess it’s much more simple: you talk about stuff with the writers or something, and then post the audio in in this site. …Anyway, I thought I’d throw this at you to see if you like the concept or anything. I just think it could be an awesome thing to try even if it’s just once. …Getting more on-topic, Enjoy the game Divine, take a much-deserved break from the blogging and come back when ready! Thanks for your continued blogging. Uh… use the IRC? :O The IRC channel’s on the side. A bonus to this game is that you can get a Zedla Wii controller with the game. For only $20 more too, which is much less than a Wiimote+, let alone a gold limited edition Wiimote+. I bought the bundle. Same here. I only have original Wiimotes. I had to literally dust off my Wii just to play this game. i thought it’s only playable on Wii U? seems i’m wrong. I don’t have a wii yet but i want one soooon! ;D I’m a HUGE fan of Zelda and i want to play them all! In the process I guess :D 60+ hours into the game and not even close to finishing 30-40% of the non-mic quests available. Won’t be getting this game, no matter how good it is. The lack of a left handed option urks me especially if the player is left handed and how it relies heavily on motion. Changing the handedness of a legendary character just to make it more convenient to right handers while once again keeping left handers in the dark (which is the reason why I admire Link so much) also leaves a bad taste in my mouth. I’m lefty myself and had no problem playing the game. Really if that’s your sole reason, get over it and enjoy one of the greatest Zelda games in a long time. :)) I’m getting this tomorrow, totally pumped. I don’t think it’ll knock Ocarina of Time off the top of my list of favorite LoZ games though. Either way it’ll be a great time, and this post is definitely reassuring. And while I wait for tomorrow I’m gonna bust out my Zelda OSTs playlist. Yeah. I didn’t even knew it was out already, games take ages to arrive here. If it’s for X-mas, it would be awesome but I doubt it. Last year, it took KH: BBS two months to be available in stores :C. Anyway, I’ve only played a bit of Ocarina of Time and Mayora’s Mask but I’m familiar with the Gameboy ones. Link’s awakening and Oracle of Ages/Seasons (you should try them!) were the only reason I could stop playing Pokemon Yellow/Crystal and I’m a big Pokemon fan so it matters. Because we all know that bloggers do absolutely nothing else in their lives ever. I took two days of vacation just so that I would have time to play with the least amount of disruption to blogging — no joke. Man it seems just like the other day I was playing TP when the Wii came out. Its feels right that the Wii goes out the same way it came in. Hey Divine, since you have a Wii, you should try playing SRW NEO sometime. you really did post it. Anyway, at least you had fun and be careful of your health. It wasn’t much of a post, but yeah, I thought it would help explain why my Ika Musume (and now Naruto) posts are late. Well, I have one thing that just hit me. Even though Zelda games were very popular, all of them fail to become an anime. Unlike most japanese games that become anime later on, despite their popularity, none of the Zelda games even tried to become an anime. I guess it can’t be helped, since they are all inconsistent. Of course, if you ask me, the best part of Link by far was the gamecube part where he was actually part of the Soul Calibur games. They really need to make Link part of a game like that, I don’t really have the best IQ in the world, and games where you go through dungeons and find the boss’s weak points is pretty boring when in the Soul Calibur game, Link just go straight into the fights. Most of the games have manga versions, though. Also the fact is that people didn’t make games into anime that much back in THE EIGHTIES. No anime, but there was an American cartoon (a Super Mario one too). I remember watching it while growing up. OMG Da5id! I remember that one! Man, the memories that sentence holds for me XD. Do the MARIO! Swing your arms from side to side…. Now I can say, Mr Rei: I am 23… I wanna be young again XD. haha 42 hours in 2 days..did you even sleep? I’m currently playing Skyrim…no way can I do that..and Zelda..i’d die. 2.5 days, so that’s about 60 hours. 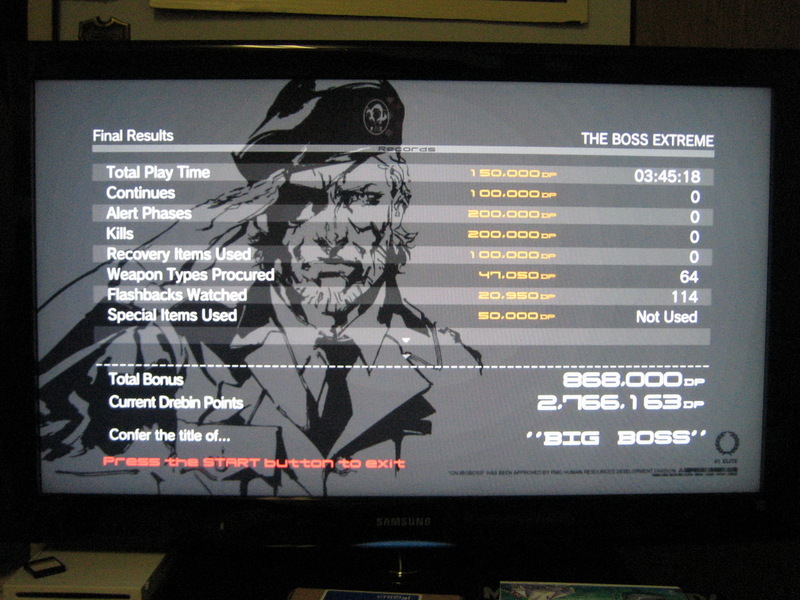 42 hours in the game, plus some extra time for dying on the last boss a couple of times until I figured it out, and then 5-6 hours for watching and blogging Gundam AGE. (It took an abnormal amount of time because I couldn’t focus and wanted to get back to Skyward Sword). Alass! I beat them all the way up to twilight princess where I went 360 over wii since I thought itd be a flop(which I hold true beside the zeldas and brawl, but that’s just me…) so now I have to mooch! I hear good things so far though. I like the idea of the sprint. Went to the symphony in LA, it was AWESOME! I have to get my hands on this. Hmm…, I think I might get my hands on this game since it looks so tempting. Dude, you got to try Minish Cap! The game took me a week to finish. I haven’t, since it never came out here. I haven’t looked into “other means” of playing it either. Incidentally, Patrik was playing it and telling me about how cool it is (…except the graphics). I loved Xenogears (still own a copy of it), so I was tempted to make time to play Xenoblade. Such a shame, considering how good it is. :> Why don’t you take a look before deciding to take the plunge? Lol agreed. Did the same for 13 just for Sakamoto Maaya. But I’m not baller enough to get the OST… so I just preordered 13-2 by itself haha. Yeah, I’m not buying the Japanese OST. I meant the North American CE comes with the 4-disc OST and is cheaper than what I paid for the regular Japanese version. Vanille’s English voice is also (personally) unbearable. I wish they just had both english/japanese voice options available when they bring games over stateside. I haven’t played every Zelda title (i.e. Minish Cap, Four Swords, Four Sword Adventures, and Oracle of Ages/Seasons), nor have I played every Final Fantasy (particularly the remakes of the unreleased ones of Famicom). I also have some “gaps” because I watched my brother play some titles and never played myself, most notably FF8 and FF9. I was a pretty big gamer growing up (and was fortunate enough to have parents who were willing to spend their hard-earned money to buy me the latest consoles for doing well in school), but that’s drastically dropped off in recent years. All my free time is devoted to anime as my main hobby now. I don’t see myself getting heavily back into games unless I retired from blogging. It simply takes up all my free time (…and then some). It’s a bad idea for comments with 20 thumbs up to be highlighted since it’s so distracting and gaudy… Generally, I can’t believe there’s a thumbs up system at all. That’s the whole point. Someone who wrote something that 20 more people found agreeable than disagreeable deserves some attention. Possibly. I’m going to be really swamped next month with the next season preview and year-end post, so if I do, it’ll probably be after those are out of the way. @Serapita: I agree. There wasn’t really any choices that you can make in the Crystarium unless you were trying to managed your CP earlier on. I thought the release date would be the end of January for North America. Unless you’re in Japan. I hope FFXIII-2 leveling system is better than Crystarium, which I really REALLY hate, it’s like a poor man FFXI’s Sphere Grid. Oops, my bad, FFX’s Sphere Grid. I love posts like these!!! I remember how much I enjoyed you FFXIII posts. It made me drool and crave an Xbox for many months. One thing I’d request though…. Screenshot please? Ahhhhhhhh!!!!!!!! This is so awesome! No wonder I follow RC. I never expected a Zelda post. Im dying to buy the game on Black Friday. While avoiding speculation and spoilers like the plague, Im relieved your post sounds positive! Cant wait to play the prequel of OOT. Looking forward to the coverage. Oh god take the like/dislike button out. You make me feel like I’m reading Sankaku Complex or something Divine. I haven’t played any of them since the snes days myself, didn’t like the n64 one and haven’t played any of them since. Fav is zelda 1 and 2 for nes. I recommend checking out Golden Axe Warrior for the sega master system, it’ll likely surprise you a bit. Played and beat it long long ago, it’s ALOT like zelda 1 for the nes. If you mean the Ocarina of Time Master Quest, I have the Game Cube version since I preordered Wind Waker. Yep, the gc ver is the only one that was released since the n64-dd died out to quick. The rom it’s self for the n64-dd was on that gc disc ver, weird they did that but cool non the less. I had gotten it long time ago when people found out about it and ripped it off the disc. Thought it was pretty cool to have it lol, I’m a collector, I don’t have it on my drive though, I must have it on a dvd somewhere :\. I never got into the n64 games zelda wise, just seemed to childish but I have a buddy loves it so whatever I guess lol. My fav has to be zelda 2, even though it broke away form the traditional gameplay, it was still pretty good. Once I got into the golden palace without all the crystals setup in the previous dungeons. I jumped into it, and since it lets you continue from that point, I kept trying until the gateway thingy pushed me through it, died ont he other side but… it ontinued form there lol. Unfortunately for me, I couldn’t figure out how to find the boss, the link shadow char. Beat it long ago before that, but in that instance I wasn’t able to figure it out, just went in circles lol. This new game, for the wii, looks like it might be alright. That was one of the best Zelda games of all-time, right up there with A Link to the Past. I love Link’s Adventure and played it to death — most recently on an NES emulator on my phone — but OoT and ALttP trump it. Oh yeah, forgot about the cd-i game, heard that game blew monkey balls though. It should have pretty obvious since at least Wind Waker that most of the Links and Zeldas are different people (what with Ganondorf outright saying that Toon Link reminds him of Ocarina of Time’s Link). Hell, it’s mentioned in Zelda II’s manual that its Zelda is an ancestor of the first game’s Zelda. I have played so far 18 hours of the game. For me this is the best Zelda game of all time. I have always loved Majora’s Mask and Ocarina of Time, but this game take’s first place in my book. 25 years and The Legend of Zelda is still amazing. The (real) motion controls bring a lot of life back into Zelda. I’m only past the second dungeon but it’s been great so far. WHAT? no screen caps? lame. but congratulations on ur conquest! I’m so bad with wii games so I doubt I’ll ever play this. The only game I actually beat on wii was “NO MORE HEROES”. Do you think this game will be the game of the year? Not really. The last PS3 game I played was Renegade Ops and that was just because I was playing co-op with a friend. Between RC, work, and other real-life priorities, I simply don’t have time to get into too many games. I know a lot of people playing Skyrim at the moment, but I’m not one of them. I have been playing some Counter-Strike Source now and then though. It’s an easy game to just pick up for short spurts at a time (and one I played a lot of back in the 1.6 days). The next PS3 game that I’ll be putting some serious hours into is FFXIII-2. The Japanese version comes out in December, a month ahead of the North American release. I’ll be playing this once I finish Xenoblade! I´m huge fan of Zelda and I´m dying to play this new game, I hope it is to the level of Twilight Princess, because that one of the best games of in history!. Twilight Princess was a lot of fun, but I actually like Skyward Sword more in terms of item variety and world/dungeon design. You never played Minish Cap or Oracles of Ages/Seasons? Go fix that injustice right now! Those were some of the better 2D Zelda games, because it went full 3D. >150 hours and still playing. I’m curious divine have you even given Skyrim a chance? I had a friend who cared nothing about it and only wanted Skyward Sword. After watching me play Skyrim and trying it himself he went out and bought it and is having trouble putting it down to play Skyward Sword. I’ll be waiting till the holidays to play Zelda myself. No DIVINE! Skyrim will ruin your life! You won’t be able to blog if you start! There was this guy who is in UTW subs, they postponed Idolm@ster subs just because of it XD. My friend didn’t go to work today due to that game! Skyrim is like drugs, only more awesome. It’s not good for your health(sic).